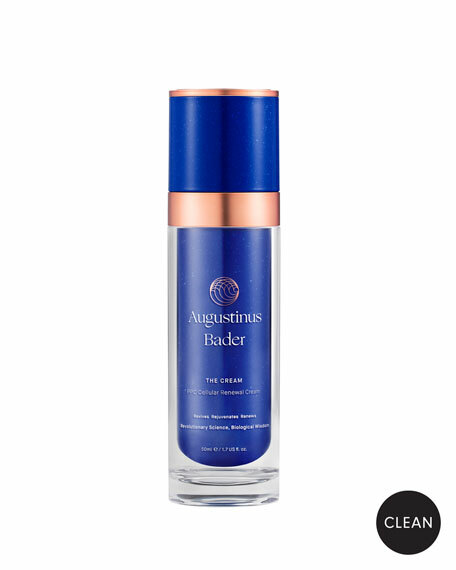 A revolutionary face cream inspired by 30 years of research and innovation, Professor Augustinus Bader has created a light, refreshing, yet deeply hydrating cream to restore skin's youthful appearance, dramatically transforming the complexion with skin rejuvenating TFC8® technology. Helps skin to look and feel restored, regenerated and renewed thanks to our proprietary Trigger Factor Complex (TFC8®). A fast-absorbing and weightless formulation that helps keep skin plumped with luminous hydration. Ideal for your day time routine. Leaves your skin feeling refreshed and soothed, especially in humid climates. For optimum usage, apply to dry, cleansed skin, morning and evening. To activate our patented TFC8®, we recommend you follow the below steps. Massage the cream along your jawline. Sweep from your nose to your ears and across your forehead. Sweep excess over cheeks and neck. Developed by a world-leading expert in stem cell research, Professor Augustinus Bader has spent thirty years unlocking the body's innate processes to self-heal. The result? Game-changing skincare that uses a unique, patented Trigger Factor Complex, TFC8® to help visibly reduce the signs of ageing and damage caused by environmental stressors, and leave skin looking restored, regenerated and glowing. Kate Somerville Goat Milk Moisturizing Cream, 1.7 oz.